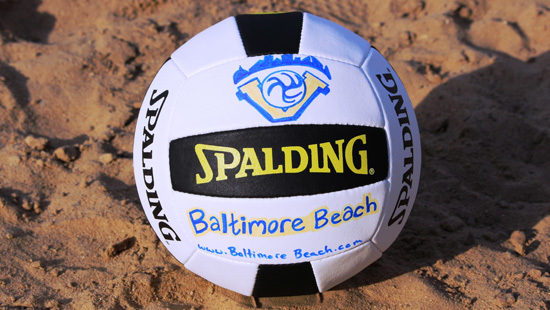 WELCOME TO BALTIMORE BEACH VOLLEYBALL! 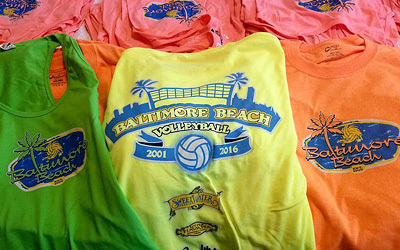 Open to everyone, Baltimore Beach is seven beach volleyball courts set on 2000+ tons of sand, located at Baltimore’s Inner Harbor. A place where local, visitor, beginner to expert can meet and play organized games. We organize men’s, women’s, coed, 2’s, 4’s and 6’s league play 7 nights a week and “Drop-In” play most weekend days from spring through fall. 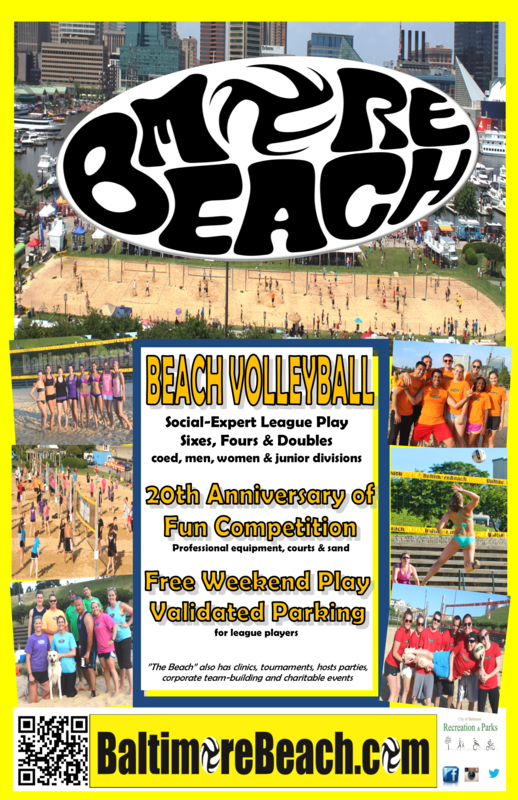 See what's happening at 'the Beach". See what a week at 'the Beach' looks like. Love this place! Definitely a gem in Baltimore! Easy and fun pickup games on the weekends and the leagues are very organized. 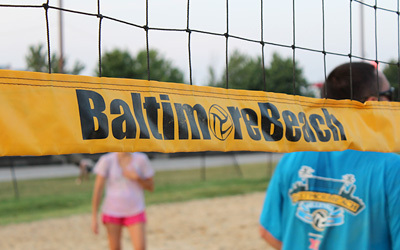 Finding Baltimore Beach is the best thing that has happened to me since I moved to Baltimore. The location is extremely convenient, the sand is high quality and well-maintained, and the views are remarkable. 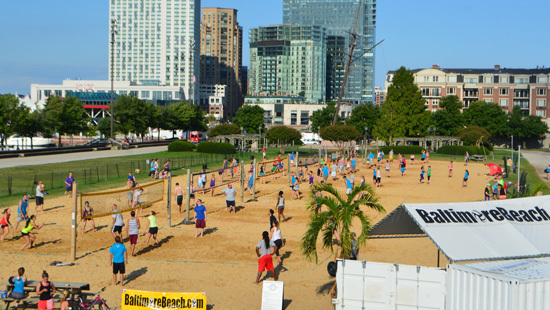 With a view of the Inner Harbor, this has an awesome view of the Baltimore Skyline while getting in some volleyball. 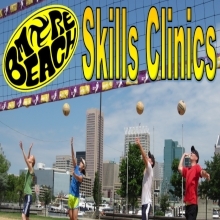 7 well maintained sand volleyball courts located right on the water! 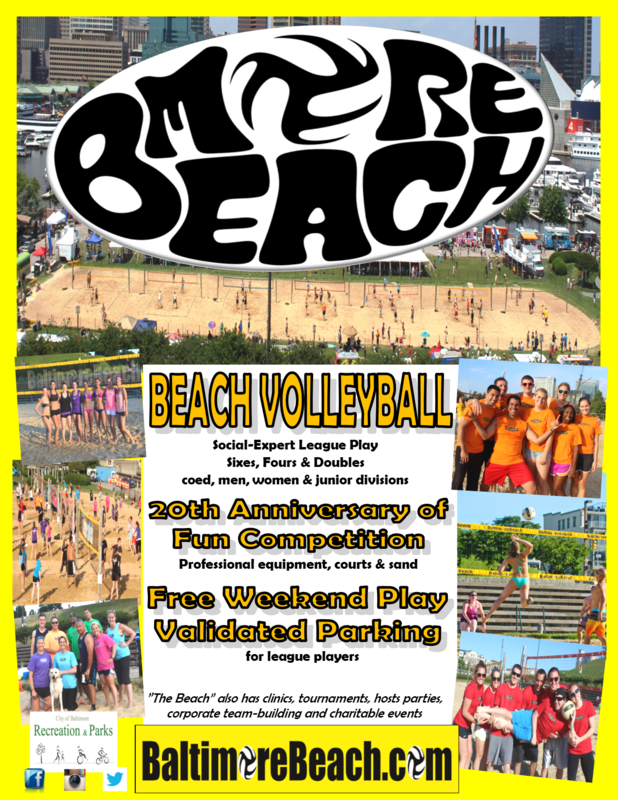 What more could you ask for to play volleyball!